We're Past Forward, presenting tunes from the 1920s through the 1960s with a diverse repertoire that features standards, show tunes, bossa novas and popular hits. You'll recognize many of the tunes we cover, such as ' Fly Me to the Moon,' 'As Time Goes By,' 'Ain't Misbehavin,' 'Blue Skies,' and 'The Girl from Ipanema' to name a few of the selections for your listening pleasure. 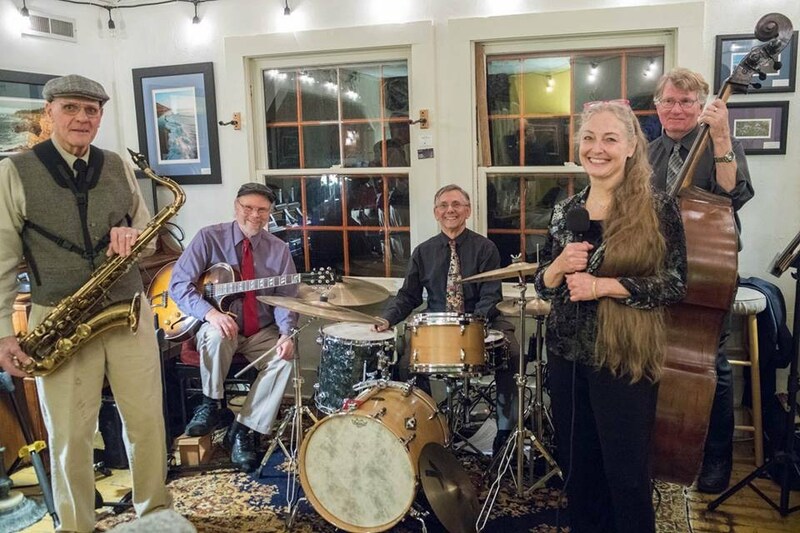 In settings ranging from intimate jazz clubs to large venues, we provide musical entertainment for dancing, socializing, and pure enjoyment at business functions, fundraisers, weddings, family reunions, and other events in and around the Oregon Central Coast region and surrounding areas. Click on the links to find out more about the band members and the current music calendar or contact us for more information. Past Forward can also be heard on their new CD, available for $10 (plus postage).